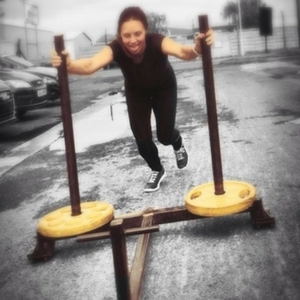 I first began training with Sam approximately 4 years ago, after struggling to lose my baby weight following the birth of my daughter. I was 30kg overweight and struggling to fit in to my size 18 clothes. Needless to say my self-esteem was low and it felt like I had a mountain to climb! My first goal was to get down to a size 14 in 2 months in preparation for a wedding in Italy. Initially Sam trained me at home using just bodyweight and kettlebells, it was hard work but by training with Sam 3 times a week and being careful with what I ate I achieved my goal and fitted in to the dress I wanted. Since then I have continued to train with Sam, and am now am happy with my body and fitting in to size 10 clothes. Training with Sam helps keep me focussed and the constant changing programs and workouts he plans helps keep me motivated. 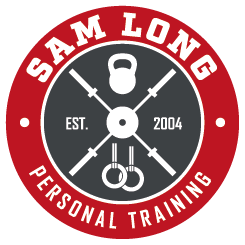 If you are willing to put that hard work in I have no hesitation in recommending Sam to anybody who's looking for an outstanding Personal Trainer.